HOUSTON, TEXAS (April 27, 2014) The 2014 edition of the Houston International Festival (iFest) kicked off on Saturday, April 26, 2014 with concerts, displays, and activities focusing on the culture of Australia. Musical entertainment was held throughout the day, along with interactive displays and exhibitions, giving patrons the opportunity to experience the Australian culture. As is a tradition with iFest, diversity in the name of the game, allowing visitors to additionally experience other cultures from around the world. Groups such as the Mexteco Ballet Folklorico, Feather Face, and El Rectorado del Son drew crowds for their performances, along with Australian didgeridoo player Cameron McCarthy and The Down Under Band Tribute to Australian Pop who focused on the featured country’s music. The Houston Lonestars, an Australian Rules football team located in Houston, was also in attendance and a fan favorite as they demonstrated their sport and explained to visitors the different and similar aspect of the game. Another favorite activity was the gold panning display which allowed patrons to pan for gold the way the prospectors did in Australia during the 1800s. The display that drew tired souls who were look for a bit of relief was the rest area designed to simulate the Sydney Opera House. The area was constructed inside Sam Houston Park with historical pictures and explanations of how the building was constructed from 1959 until 1971. The festival continues on Sunday, April 27 with more performances and displays for those in attendance. The headline concerts, beginning at 6:30 p.m., on the Bud Light World Stage with El Gran Silecio and The Down Under Band Tribute to Australian Pop ay 7:30 p.m. in the Coopers Down Under Pub. The Houston International Festival also continues on May 3-4, 2014. 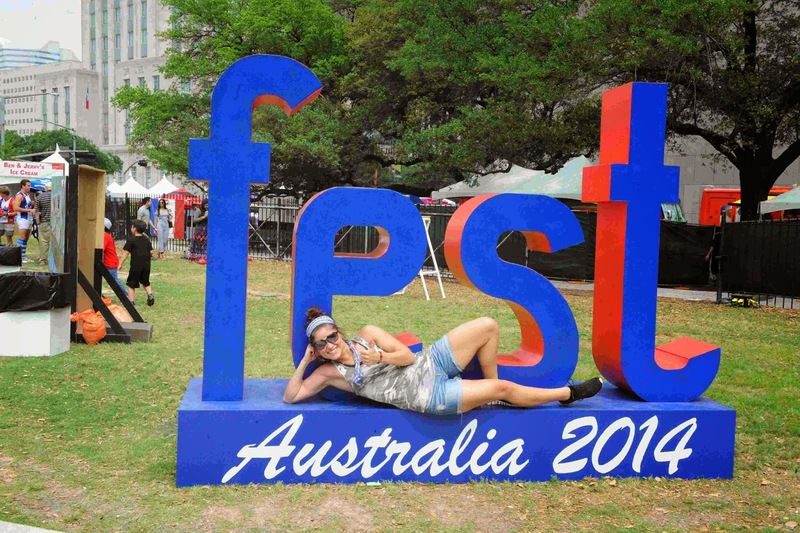 To view more images from iFest 2014, visit our sister site by clicking here. PASADENA, TEXAS (April 21, 2014) There’s a NEW Game in town this year at the Pasadena Strawberry Festival! 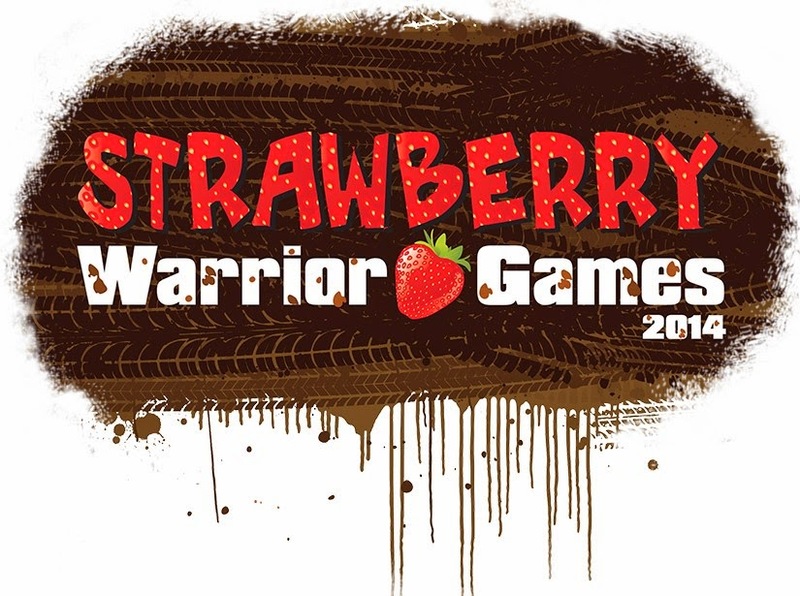 May 18th Sunday come out for the Strawberry Warrior Games, get really muddy and have a Blast! Game consists of: Tug a War, Ball Frenzy, Serve to Score all in the MUD. Teams of 6 will compete for the winners circle by being the toughest, muddiest and best timed team all around. Complete all 3 events in the time allotted and score as many point as possible. Winning teams are award Trophy and Winners Packs. Every team member gets a Warrior Shirt! Don’t be left holding the rope - Sunday May 18th!! CONWAY, ARKANSAS (April 19, 2014) The Houston Baptist Huskies fell to below .500 in conference play on Saturday, April 19, 2014 as they lost a 5-1 decision to Central Arkansas on the road in Conway, Arkansas. The Huskies’ only run came off a first inning home run by Kirstin Schwirtlich on a 1-2 pitch. Sending the ball over the center field fence for her eighth round tripper of the season, the 5-6 sophomore from Corpus Christi, Texas was 1-for-2 with one RBI. Right handed pitcher Emily Mueller receive the loss, giving up four runs on seven hits, while walking two and striking out three. For the third time in the series, HBU took the early lead but were unable to maintain the lead in the late innings. With the loss, the Huskies fell to 16-23 in 2014 and 10-11 in Southland Conference play. They are currently in sixth place in conference standings, one place behind Abilene Christian which is ineligible for posts season play. McNeese State is currently at the top of the standings with a 15-5 conference record, followed by Sam Houston (13-7), Lamar (12-8) and Northwestern State (10-9). HBU will play its final non-conference matchup of the season Wednesday, April 23 against the University of Houston. The double header will be at Cougar Softball Stadium on the campus of the University ogf Houston with game times at 5 p.m. and 7 p.m.
HOUSTON, TEXAS (April 19, 2014) The Houston Cougars came into their Saturday, April 19, 2014 game with South Florida; they were one-and-one in their 2014 series. The Cougars rallied in the eighth inning, from a 3-2 deficit to down the Bulls 5-3 and to raise their season record to 29-10 in 2014. In the first game of their Easter weekend series, on Thursday, April 17, 2014, the Cougars downed the Bulls, 3-2 on an 11 hit, three-run game with starting pitcher Aaron Garza seeing 6.2 innings of action, giving up a single earned run while striking out four. Justin Montemayor pounded out two hits, with each getting an RBI. Jared Robinson, pitching 1.1 innings in relief, received his third win of the season. 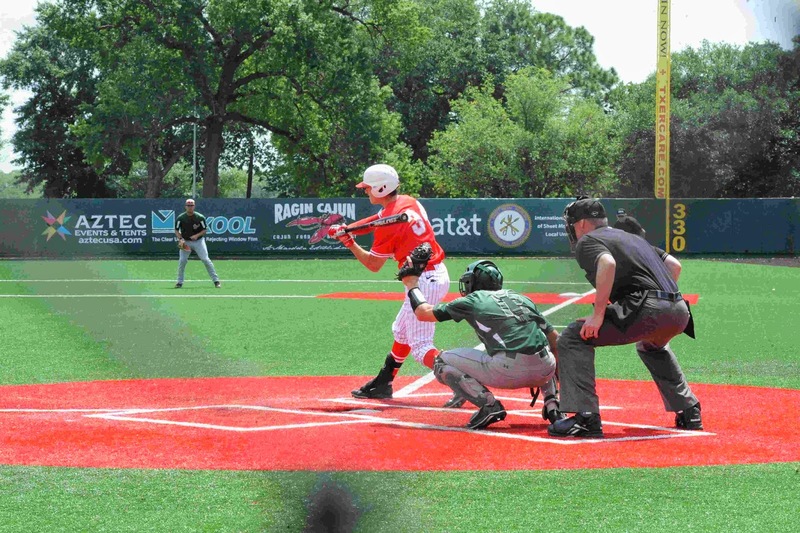 In the second game of the series on Friday, April 18, 2014, the Cougars fell to the Bulls by the score of 4-3. The No. 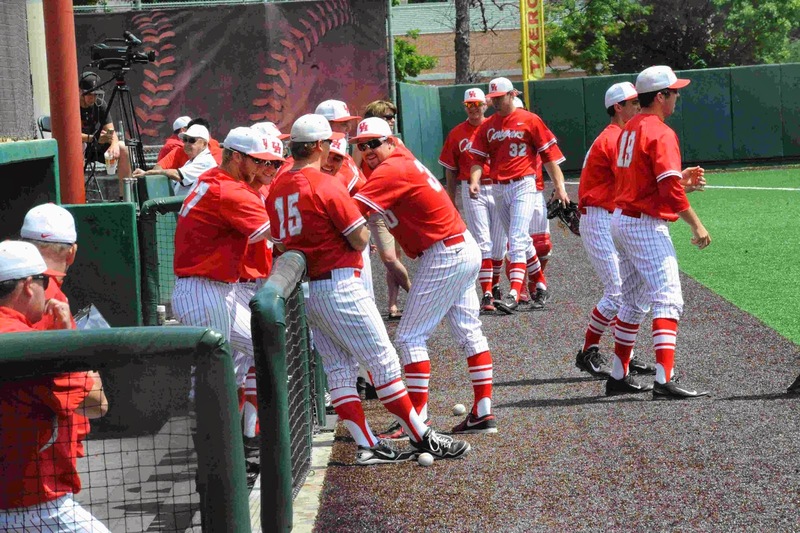 12 ranked Cougars could not overcome the four-run first inning by the Bulls, scoring two runs in the first innings and a single run in the seventh inning. Casey Grayson tallied a 3-for-5 performance, with his fourth home run of the season and 3 RBI. The Cougars tallied single runs in the fourth and eighth innings to tied the score at 3-all late in the game. Houston broke the tie when Frankie Ratcliff, who was placed in the pinch hitting role, drew a bases loaded walk to give the Cougars a 4-3 lead. Then Jordan Stading tallied another bases-loaded walk to give the Cougars a two-run lead. The Cougars raised their American Athletic Conference record to 6-6 with 12 conference game remaining. 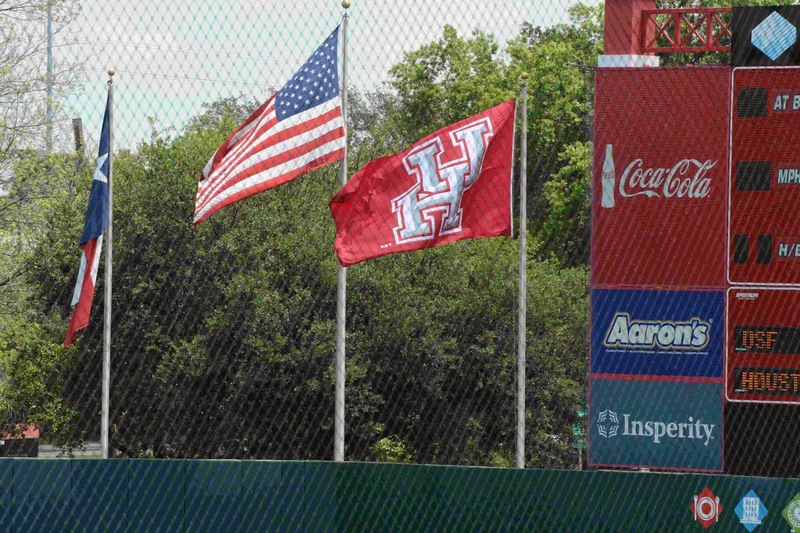 The next contest for Houston will be on Tuesday, April 22, 2014 when they face non-conference opponent Sam Houston State University with a 6:30 p.m. CDT first pitch at Cougar Field. Senior first baseman Bradley Brown went 2-for-3 with a double for HBU (15-15, 5-8 SLC), while senior outfielder Jordan McCoy singled to extend his hitting streak to eight games. Junior centerfielder Zach Nehrir doubled and scored the Huskies' lone run. Tyler Ware went 3-for-4 with a triple, five RBIs and a pair of runs for TAMU-CC (18-18, 8-5). Cody Stephens was 3-for-4 with a double, three RBIs and three runs, while Jordan Lee was 3-for-4 and scored twice. Brandon Tierney and Frankie Salas each scored twice for the Islanders. Matt Danton (5-2) earned the win for TAMU-CC, allowing one run on five hits in six innings. Junior Taylor Wright (2-6) took the loss for HBU, giving up five runs on four hits in 2/3 of an inning. Junior Ross Kennell threw four shutout innings for the Huskies, before the Islanders got to him for four runs in the sixth. The series continues Saturday with a 1 p.m. first pitch. 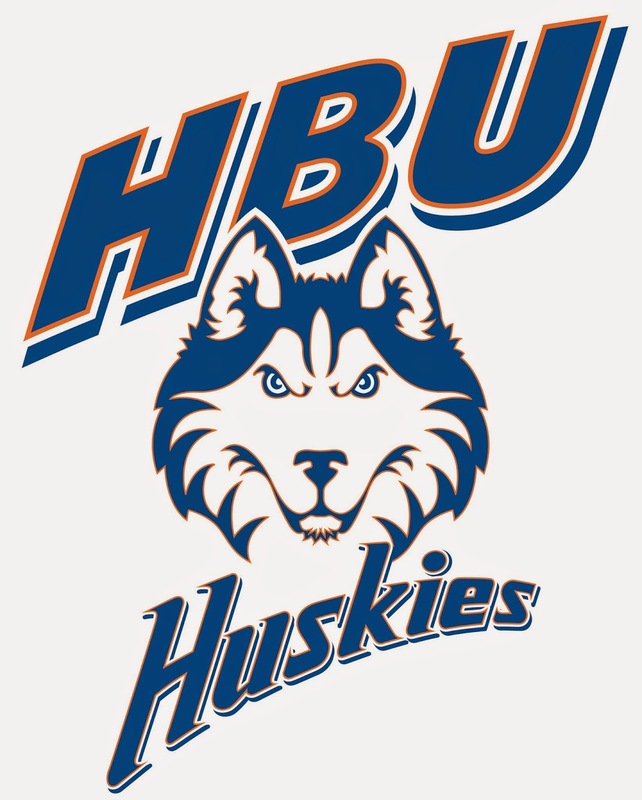 The Huskies will hold their annual Fish Fry Fundraiser at the game, with each plate costing $5 and all proceeds going to support HBU Baseball. Fish will be served from 12 p.m. through the end of the game. HOUSTON, TEXAS (April 8, 2014) Tuesday, April 8, 2014 action at the U.S. Men’s Clay Court Championship saw the No. 5 and No. 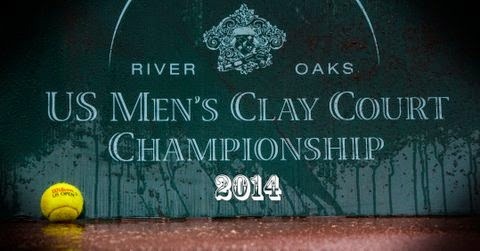 7 single players and the top ranked doubles team advance at River Oaks Country Club in Houston, Texas. The number five seed, Spain’s Feliciano Lopez, defeated American Robby Ginepri in straight sets, 7-5, 6-2. Lleyton Hewitt, who came into River Oaks as the number seven seed, took three sets to dispatch Canadian Peter Polansky 6-4, 3-6, 6-4. In unseeded action, Donald Young (USA) easily downed fellow American Ryan Harrison 6-0, 6-1, while Michael Russell (USA) used straight sets to down Spain’s Daniel Gimeno-Traver 6-3, 7-6 (2). Germany’s Benjamin Becker, who played his college tennis for the Baylor Bears, needed three sets to down Ruben Ramirez-Hildago 6-1, 1-6. 6-3. American Steve Johnson rounded out the singles action by beating Denis Kudla (USA) 6-3, 7-6 (4). In doubles action, the USA brothers duo of Bob and Mike Bryan quickly defeated Nicholas Monroe and Donald Young 6-3, 6-4. In other doubles match saw Australians Matt Ebden and Sam Groth beating Ken and Neal Skupski and 6-4, 7-6 (2). Action continues on Wednesday with five singles and six doubles matches. The headline matches of the evening include number one seed John Isner (USA) facing Dustin Brown (Germany) while the Bryan brothers will play the Australian pair of Matthew Ebden and Samuel Groth. HOUSTON, TEXAS (April 7, 2014) Monday, April 7, 2014 action in the U.S. Men’s Clay Court Championship at Houston’s River Oaks Country Club saw four wild card entries decided and four regular tournament matches contested. The four wild card matches, which were postponed from Sunday, April 6 due to rain, were made up beginning at 12 noon. Winning their wild card matches and advancing to the regular tournament were Robby Ginepri (USA), Peter Polansky (Canada), Ruben Ramirez Hidalgo (Spain), and Ruben Bemelmans (Belgium). Ginepri dispatched Australia’s Thanasi Kokkinakis 7-5, 7-6 (6) while Polansky took down Thiemo De Bakker (The Netherlands) in straight sets, 6-4, 6-3. Hidalgo needed three sets to top Zimbabwe’s Takanyi Garanganga 6-1, 5-7, 6-3. Bemelmans also needed three sets to advance into the regular tournament, downing Ryan Harrison (USA) 6-1, 5-7, 7-6 (3). In first round action, Germany’s Dustin Brown took just 49 minutes to down Rhyne Williams (USA) 6-1, 6-2. Brown dominated with five aces and won 83% of his first serves (20-of-24) along with 50% (13-of-26) of first return points. Jack Sock (USA) took a bit longer to send his opponent packing with a 6-1, 6-4, 55 minute win over Croatia’s Ivo Karlovic. Karlovic was the number eight seed and the first seeded player to be eliminated in Houston. In the 6 p.m. center court match, Sam Querrey (USA) survived a tough fought match against Alex Bogomalov, Jr., downing the 30-year old Russian 6-4, 7-6 (6). In the post-match press conference, the 26-year-old from San Francisco, California was quoted. 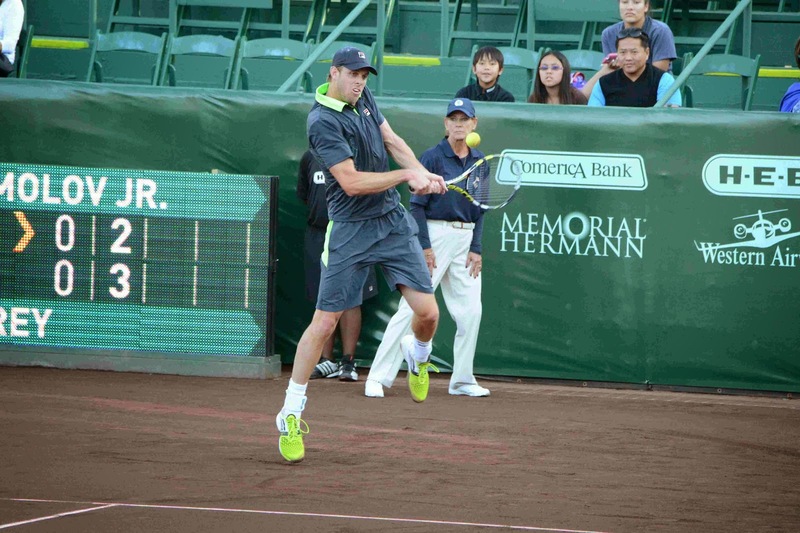 Querrey evened his match history with Bogomalov to 2-2, having beaten him previously on grass in the first round of the 2012 Campbell’s Hall of Fame tennis Championships in Newport, Rhode Island by the score of 7-5, 7-6 (7). The doubles match will begin on center count at 6 p.m. followed by the Lopez-Ginepri match. HOUSTON, TEXAS (April 6, 2014) Play was officially suspended due to rain at 3 p.m. on Sunday, April 6, 2014 at the U.S. Men’sClay Court Championship with the final four qualifying matches reschedule for Monday, April 7 at River Oaks Country Club in Houston. Robby Ginepri (USA) is now scheduled to face Thanasi Kokkinakis (AUS) on center court at 12 noon, while Peter Polansky (CAN) and Thiemo De Bakker (NED) will begin play on court three at noon. Takanyi Garanganga (ZIM) and Ruben Ramirez Hidalgi (ESP) will also have a noon match on court seven. Ryan Harrison (USA) and Ruben Bemelmans (BEL) will play the final qualifying match on court three following Polansky-De Bakker. Other play on Monday will find Rhyne Williams (USA) playing Dustin Brown (GER) following the Ginpri vs. Kokkinakis matchup. The final match of the afternoon will have Jack Sock (USA) playing No. 8 Ivo Karlovic (CRO) on center court. In the evening matches beginning at 6 p.m., Alex Boromolov, Jr. (RUS) will face Sam Querrey (USA) on center court. They will be followed by Marcos Baghdatis (CYP) playing Alejandro Gonzalez (COL). Singles and doubles actions continues all week through Sunday, April 13 at River Oaks Country Club. You can view the official draw page here. HOUSTON, TEXAS (April 5, 2014) BBVA Compass Stadium and the 22, 202 fans in attendance in Houston saw the return of the Texas Derby with the Houston Dynamo facing off against FC Dallas for Texas bragging rights and possession of El Capitán on Saturday, April 5, 2014. The Dynamo could not seem to get the ball in the net, as Dallas dropped Houston by the score of 4-1. As a result, Dallas will retain possession of El Capitán, the replica 18th century mountain howitzer cannon, that is awarded to the winner of the Texas Derby. Saturday’s game is the only regular season game for both squads in 2014. Dallas got on the board first, in the 31st minute, when midfielder Mauro Diaz and a few Dyanmo defenders were fighting in the box for the ball. The officials whistled for a penalty kick, and Michel sent the ball past goalkeeper Tally Hall for the score. Houston evened it up in 41st minute when Brad Davis passed the ball to Ricardo Clark to tie the score at the half. Dallas sent the score to 2-1 when Michel sent a free kick to Je-Vaughn Watson, who headed it past hall in the 61st minute. They added their third goal of the evening in the 68th minute when a corner kick ricocheted of Will Bruin’s head and into the Dynamo net. In addition, they added an insurance goal in the 70th minute when Watson again got the ball past Hall. With the loss, the Dynamo fall to 2-2-0 (six points) while Dallas foes to 4-0-1 (13 points). Houston will now hit the road for three straight matches before returning home to face Portland on Sunday, April 27. The final match of the three-game road trip will be on Wednesday April 23 against New York.